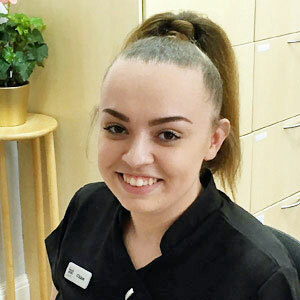 Chloe started working in the dental industry when she was 16 years old and she joined the Beaconsfield Dental Practice in February 2017. She's currently working towards her NEBDN (National Examining Board of Dental Nurses) qualification and is really enjoying it. Outside of work, Chloe enjoys spending her time with her family, reading and taking holidays.